*Includes increases to budgets of both the Winnipeg Police Service and the Fire & Paramedics departments. The City of Winnipeg will be investing $100,000 towards repairing the Bridgwater Forest Fountain and repairing surrounding landscaping (pathways). Manitoba Housing and Renewal Corporation will also be investing funding towards the fountain’s repair. Small business tax is reduced from 5.6% to 5.3% for businesses that have an annual rental value (ARV) of $32,220 or less in 2016. This positively impacts many small businesses along Pembina Highway, enabling an average savings of approx. $1,700. A significant number of businesses along Pembina are currently looking at establishing a South Winnipeg Business Improvement Zone (SEE City of Winnipeg BIZ). City staff and I are supporting them on this initiative. $2.9 million from the Destination Marketing Reserve (DMR) and Special Events Marketing Fund to Economic Development Winnipeg – Yes Winnipeg. This is more of a City-wide initiative with an overall impact. Details of the much needed washroom upgrade will be announced soon! The City of Winnipeg Naturalists department is overseeing a tall grass prairie restoration project along the south edge of the Park, approx. 300m south of the parking lot. This is a multi-year project that will see the transformation of about 5 acres of weedy, unmaintained grassland into a diverse prairie habitat. When completed, this area will contain 40+ species of grass and wildflowers that will provide valuable habitat for birds, butterflies and other wildlife. Over 2015-2016, approximately 500 native trees and shrubs will be planted into the areas that were impacted during the riverbank stabilization work. $766,000 for reforestation in each of 2016, 2017 and 2018 for tree replacement and tree pruning. This is double past year’s investments and will significantly support the replacement of trees infected with Back Knot fungus, a problem that is prolific in our ward. We are awaiting the final list of streets indicating where trees will be removed and new plantings will occur in 2016. Amount of funding for upgrades to be determined following the Dakota Park April 21, 2016 community consultation. Everyone is welcome to attend this event! The City of Winnipeg Naturalists Dept. is continuing on the prairie planting project alongside the Bishop Grandin Trail West (located between Pembina and Waverley). Wildflowers (black eyed susans, heart leaved alexanders, sunflowers and numerous other vibrant wildflowers) were seeded in this area in 2015, and supplementary seeding will be done this spring (NOTE: I have not yet received a funding value for this project). An official opening celebration and new park signage. Details to be announced soon! An additional Zoning Field Officer is identified in the 2016 Budget relating to zoning and conditional uses, ie: enforcement regarding work on a home that has occurred without a permit. Funding towards Winnipeg Block Parents and Neighbourhood Watch (Winnipeg Police Service). The City provides support to both these programs which will be discussed at the upcoming Community Forum on Public Safety on April 28! Everyone is welcome to attend this event! There is positive movement in the 2016, 2017 and 2020 budgets on the South Winnipeg Recreation Complex. 2017: $100,000 for preliminary planning purposes, site selection, design and architectural plans to provide a Class 3 Estimate. Construction is planned for 2020. 2020: $7,586,000 towards the construction, interior working costs, and the cost of land purchase and servicing costs. 2017: $3,800,000 towards construction identified in the feasibility studies that are now underway, including a recommendation to City Council to adopt a 2016 first charge on funding if required to facilitate timely work on this project. I encourage residents to VIEW THE VIDEO of the presentation by Mr. Dave Wardrop, Director of Winnipeg Transit, on the 2016 Capital Budget. Mr. Wardrop begins his presentation about 20 minutes into the video, and speaks for about 1.5 hours. This discussion, held with the Standing Policy Committee of Infrastructure Renewal and Public works, provides an excellent overview of the emission control challenges faced by Winnipeg Transit. I want to extend a HUGE thank you to Mr. David G. Sanders, Chair of the Bridgwater Lakes Neighbourhood Association, for preparing such a detailed presentation and for giving up two mornings (7+ hours) to present to Winnipeg’s City Councillors. I encourage all Bridgwater residents to review David’s very informative presentation on the need for transit in Bridgwater Lakes. The decision made by City Council was not to immediately add new bus routes in 2016, due to ongoing maintenance issues and the need for fleet stability. So, in summary, I am optimistic that we may get the expansion for 2016 – but there are many variables to monitor over the coming months. I recognize this is extremely frustrating, and have provided you with a volume of information to help explain the situation. Globally, the transit industry is in a period of transition. Diesel buses are old technologies with stringent Federally mandated controls that make them complicated and fragile. But at the same time, the technology of electric and hydrogen is still in early stages of development and has not yet reached a ‘fleet level’ of reliability and cost effectiveness. I could compare this to how CD’s have faded away, small drugstores have evolved into super drugstores, and the current situation with taxis and Uber. A new Handi-Transit Scheduling System valued at approx. $1.5 million is included the 2016 budget. This will update Handi-Transit’s scheduling system so it can maintain basic and medical client information, schedule clients according to specialized needs, optimize available resources, communicate with drivers and clients in real-time, and allow for immediate scheduling or dispatching when hourly cancellations create an inefficient use of available resources. This year’s budget is providing record spending for upgrading our roads, bridges and active transportation infrastructure. 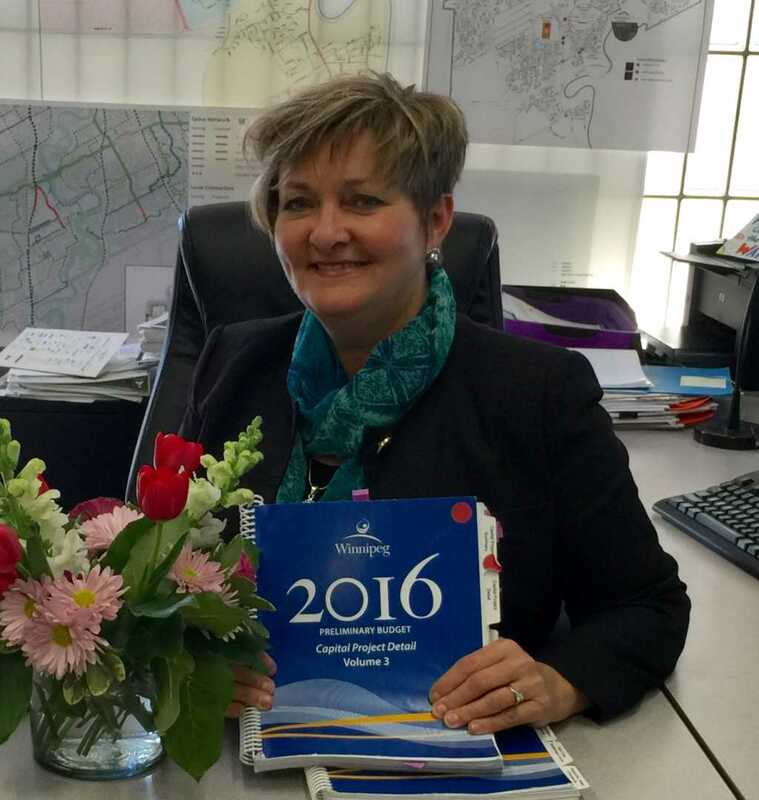 Complete details of regional roads can be found in 2016 Budget Volume 3, Pages 2-18 and 2-47. For regional and local roads that are not scheduled for rehabilitation, regional mill and fills or local renewals this year, funding is available for upgrades and general maintenance repair. This maintenance will occur throughout the construction season. This year, upwards of $9 million will be spent on active transportation: improving and increasing sidewalks, pathways and on-road cycling infrastructure. As with the local streets, specific details on projects will be released in mid-April.